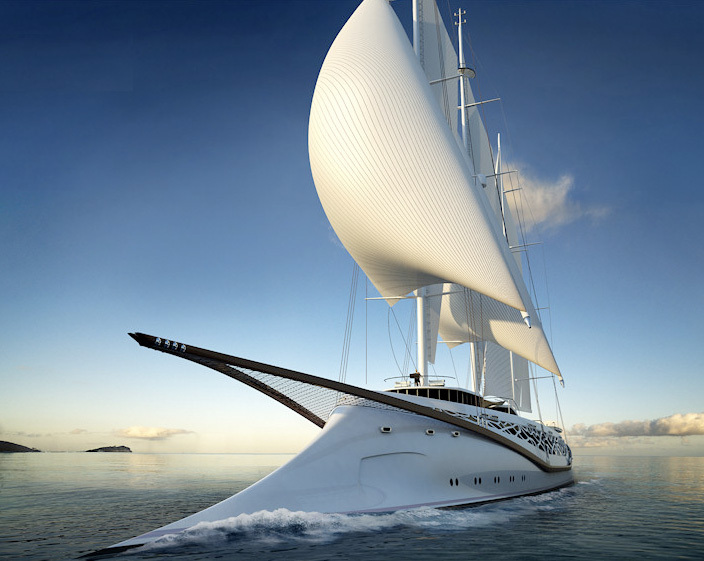 Designer Igor Lobanov has revealed his latest innovative design concept to Super Yacht Times. He stated that Phoenicia it is an explorative study, focusing purely on the design elements themselves. This concept amalgamates various historical influences with a new modern design. 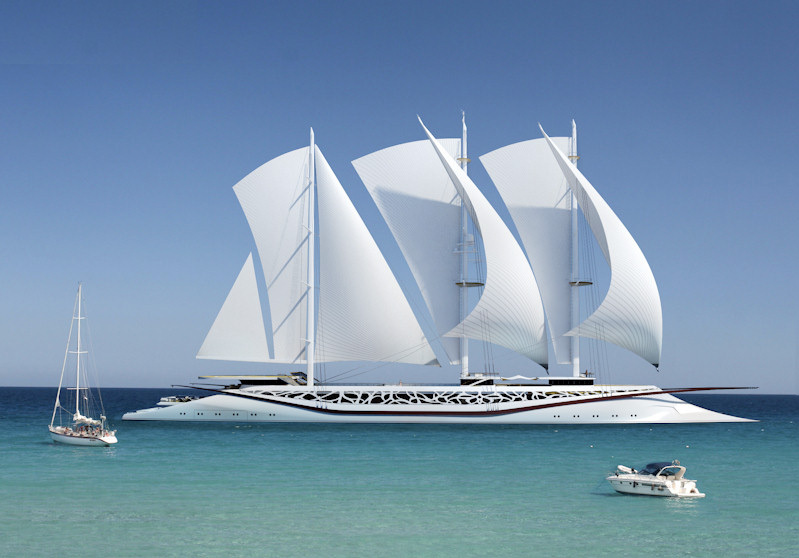 The model explores a 100+ meter superyacht with generous open deck space, particularly aft of the yacht including a helipad; a feature which is usually seen on large motor yachts rather than a sailing yacht. Another key element of this model is an all surrounding open deck arranged as a gallery with a pattern design as a feature. 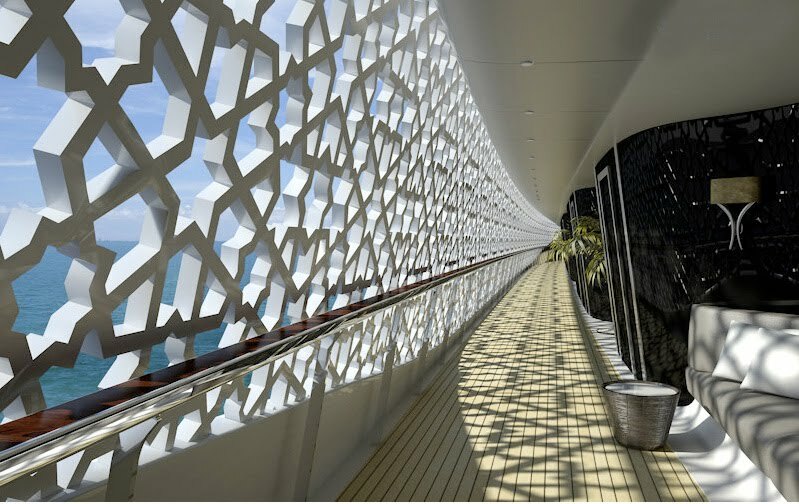 One of the proposed patterns has a special Arabian influence. 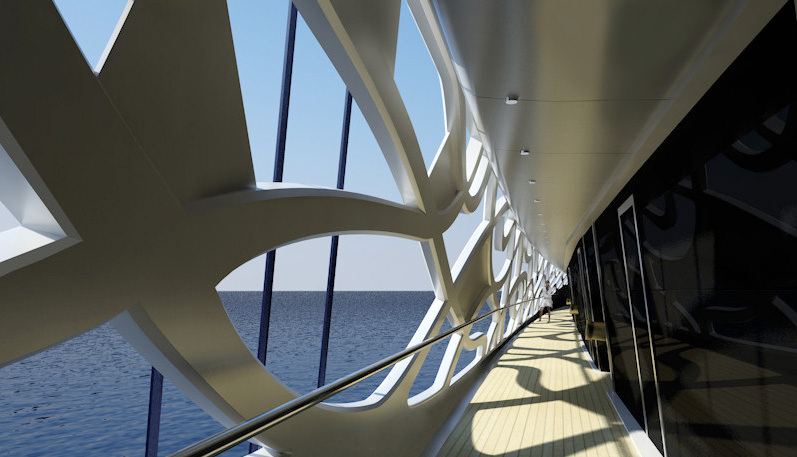 Additionally Phoenicia has a very unconventional bow, which has a hint of ancient Greek influence. 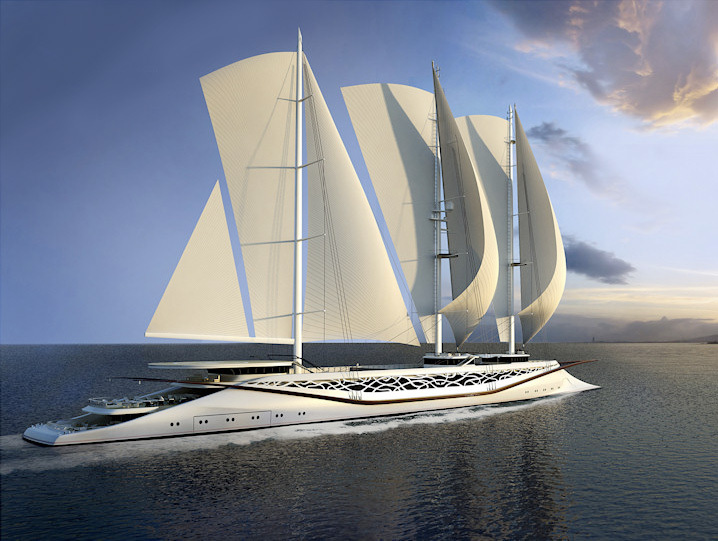 This design gives the feeling of 1000 years of history of an “ancient royal ship” with the appropriate name concept of "Phoenicia". Phoenicians are believed to be the people who influenced the Greek alphabet. From the Greeks it was then passed to Romans as Latin and to Slavs (and even Mongols) as Cyrillic. As a result a wide range of nations from Australia to Russia are now using letters that derive from those once created in the small area of Phoenicia. Also known for trading across the whole of the Mediterranean, the Phoenicians influenced many nations and cultures that lived around sea. The Phoenicians are a link between East and West, between modern Muslim and Christian cultures. Hence, this name is symbolic and appropriate to the design of Phoenicia. This concept is an expression of how we should continue to explore different shores, different cultures and the various way of life.